Museum of the Moon is presented by Scienceworks and is a giant floating moon complete with NASA imagery on its surface. You will be able to look at the moon in all its glory without even a telescope. This moon will measure 7 metres in diameter. 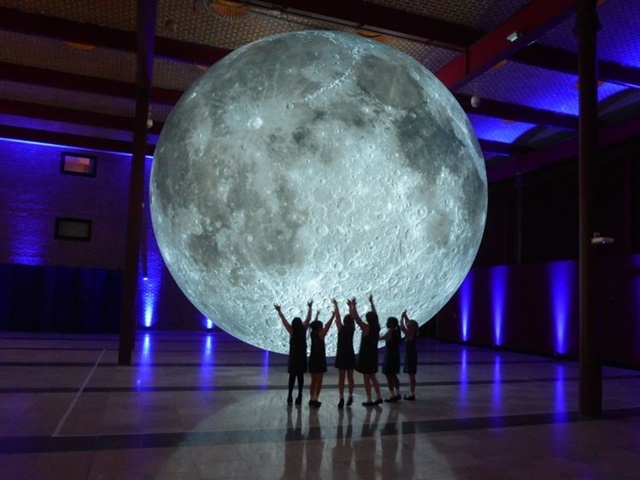 The Museum of the Moon is a detailed installation by the UK-based artist Luke Jerram. The giant sculpture has been touring the world since 2016 and has been displayed in New York, Hong Kong, Mumbai and many other places around Europe. 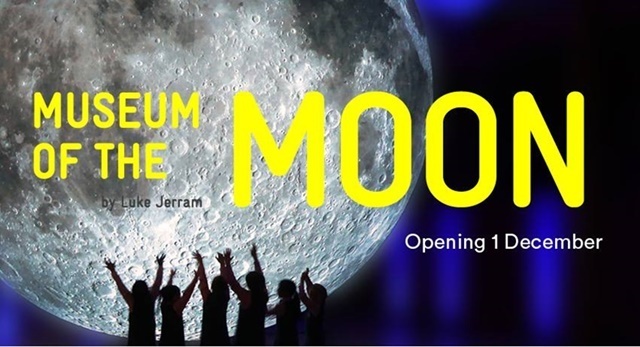 This summer, Scienceworks is over the moon to feature two incredible lunar experiences: Opaque Space's new Earthlight: Lunar Hub virtual reality experience and Museum of the Moon, an astronomical sculpture of the moon. The Melbourne based group Opaque Space was inspired by their recent collaboration with NASA and therefore built astronaut training simulations. They have now created a truly unforgettable VR experience halfway between gaming and space exploration. 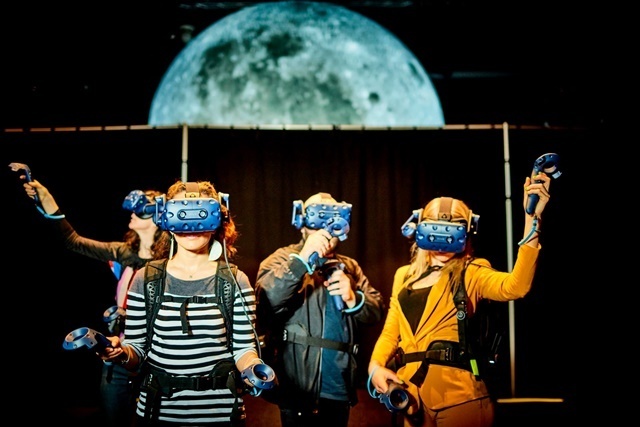 Six players collaborate live on-site to journey through a lunar craft and undertake a moonwalk! This is all done within an extremely realistic moon environment. Earthlight: Lunar Hub was recently recognised at the Australian Game Developer Awards as "a game beyond entertainment". This will be available to the public for the first time and is a 40-minute experience. It features 20 minutes in-game and uses headsets and backpack PCs. This enables the players to move freely around the 7 x 10m play space. Earthlight: Lunar Hub takes standard virtual reality to the next level. It is an engaging virtual reality experience where you, the astronaut, is able to explore a lunar space station, walk on the moon and experience the most breathtaking views of earth. Please note - Virtual Reality on the Moon will be closed for maintenance until 5th April and is strictly for ages 13 and above. 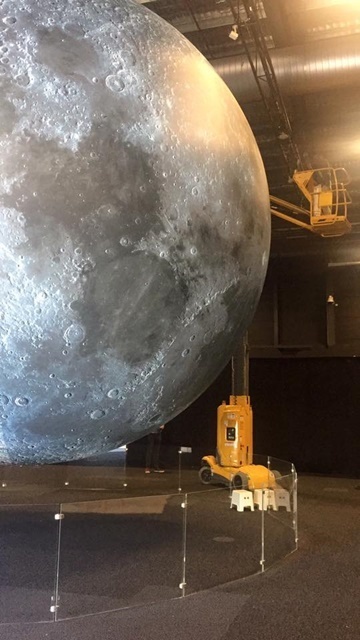 The scale of the moon model is approximately 1:500,000 and Jerram has painstakingly re-created the shape and surface of the moon utilising NASA-produced high-resolution imagery of the moon's surface. "Each centimetre of the internally-lit spherical sculpture represents 5km of the genuine moon's surface." 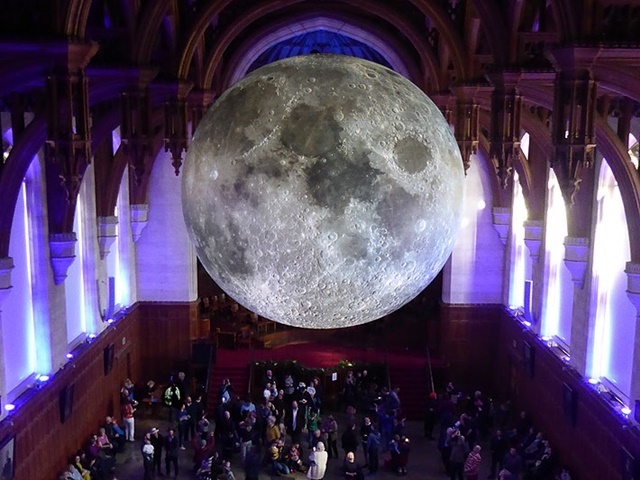 This installation fuses lunar imagery, moonlight and music created by BAFTA and Ivor Novello Award-winning composer, Dan Jones. This phenomenal exhibition/game is currently up and running and will now go on until 28th April 2019 so you still have time to go and try this. Jerram was actually inspired to do this project while he was living in Bristol when he noticed huge tidal variations in the moon. It will be on from 10.00 am to 4.00 pm at Scienceworks, 2 Booker Street, Spotswood. Cost is $15 which is the cost of entry. Museum of the Moon allows us to observe and contemplate cultural similarities and differences around the world. It also allows us to look at the latest moon science. At each place this event is on, its meaning and interpretation will alter. Through local research at each location of the artwork, new stories and different meanings will be gathered and compared from one presentation to the next.